North Center Auto Body Shop | North Center Auto Body Repair | North Center Auto Body Repair Shops | North Center Collision Repair | North Center Auto Collision Repair | B&L Automotive Repairs, Inc.
B & L Automotive Repairs, Inc. has been offering its unmatched auto body repair services to individuals from the Greater Chicago Metropolitan Area for over three and a half decades. This family-owned and operated collision repair shop was begun in 1978 by Bernie Schatz (B) and Lou Stein (L). In 1980, Peter Rizzo began his career with B & L and in 1988 he assumed ownership. Since that time, Peter Rizzo and his family continued to support the same standards of excellence in auto collision repair started over three and a half decades ago. They ensure all of their auto body shop technicians have been able to obtain the most advanced training in order for B & L to continue being the top provider of the finest collision repair services. These are just a few of the really excellent reasons that residents from North Center consider B & L auto body shop as the best provider of collision repair services in the industry. B & L Automotive Repairs, Inc. is located conveniently 1.7 miles west of North Center, Illinois. North Center is one of 77 community areas in Chicago, and it has almost 32,000 residents living there. If North Center residents need an auto body shop, they make a bee-line to B & L with great decisiveness. North Center residents consistently choose B & L auto body repair services because they realize we are able to work on all makes and models, and collaborate with all dealerships and top insurance providers. Whatever matter of assistance North Center customers need for their auto body repair, B & L’s highly-qualified team of experts will endeavor to provide them with the auto collision repair work they deserve. When North Center clients come to our auto body shop, they will get the best auto body repair they need at a price they can afford. B & L Automotive Repairs, Inc. provides the services customers need in order to enhance the claims management process. While focusing on integrated claims management, we are able to continue delivering the best industry-leading auto body repair services possible. Additionally, B & L offers its customers an efficient limited lifetime warranty. 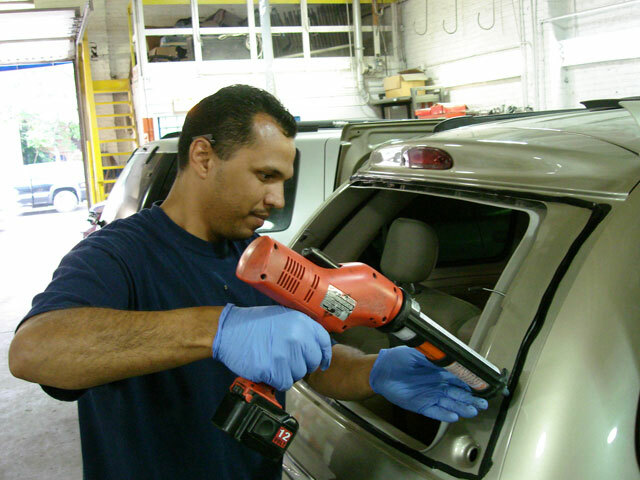 B & L will also guarantee that the parts and materials it uses in its collision repair are of superior quality. Whenever you visit our auto collision repair shop, one of our exceptional customer service representatives will help you navigate the auto body repair process. Customers can also expect that they will receive a solid estimate from B & L! Not only do we possess quality control checks at every level to make certain that all your collision repair work has been handled appropriately, but to also ensure that your vehicle is ready for the road. For a FREE estimate from B & L’s auto body shop, call us today at: (773) 463-1622.